This morning, I had one of the most beautiful moments! One of those moments where, if you are a spiritual person like I am, you pause and just know that there are other forces at work in this life. Wait one minute … stop! 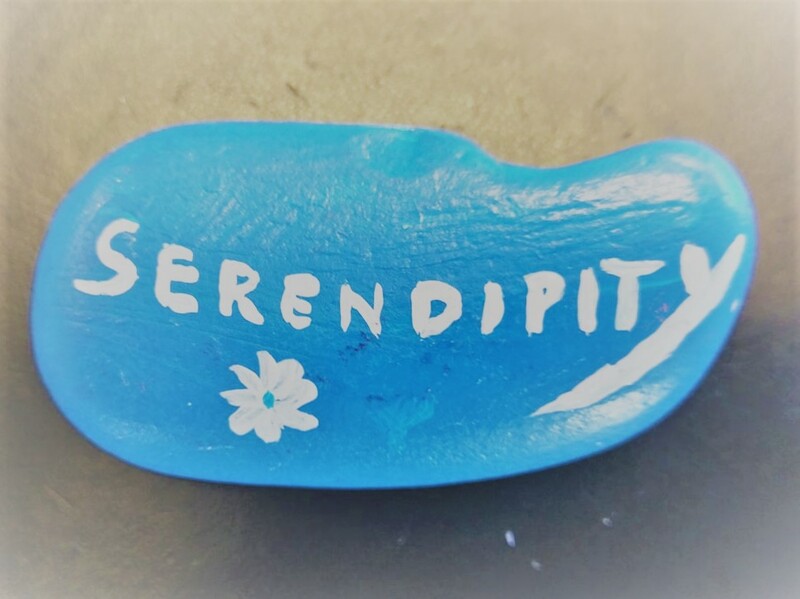 That’s a beautiful little blue rock, painted the color of the sea that I miss to the very core of my soul, with my favorite word in the world written on it!!! 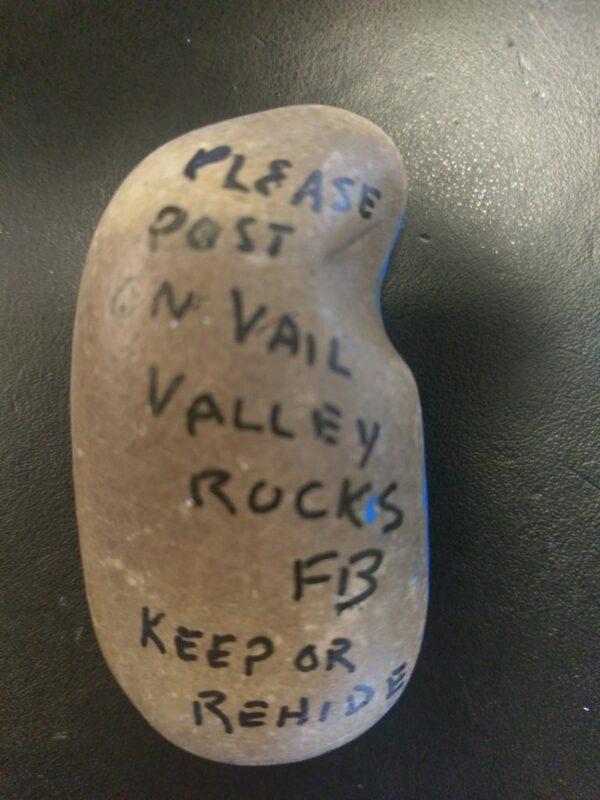 Now who was this special person who made this little rock and left it here for me to find? 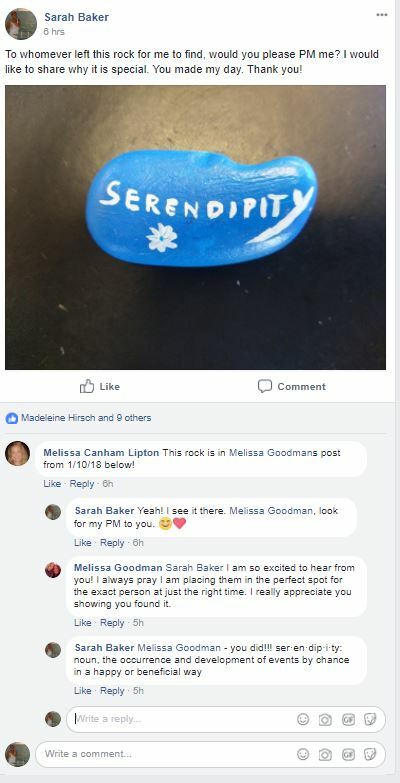 Not that many people know about my blog – LifeSerendipity – so which of my friends did a little something to put a smile on my face? Or was it fate? So I went to the Facebook page, and left this short message. Just when I needed it, my tears started and I let go of a lot of stress I’ve been holding. I do my best to make the right decisions, do the right things, be the person I was raised to be. And this beautiful little rock took my breath away and reminded me that there are good people in this world. That life is bigger than us. And that it’s all going to be ok even when we aren’t in control. Now if this isn’t Serendipity, I don’t know what is! Copyright © LifeSerendipity - All rights reserved.